20 Jan We just got married in Thailand! Last week Andrew and I got married in Thailand. We didn’t have a ceremony, exchange vows or change our names. There were no guests, rings or fancy outfits. Aside from telling our immediate family and some friends, we chose to keep the whole thing under wraps because to us, it wasn’t a big deal. 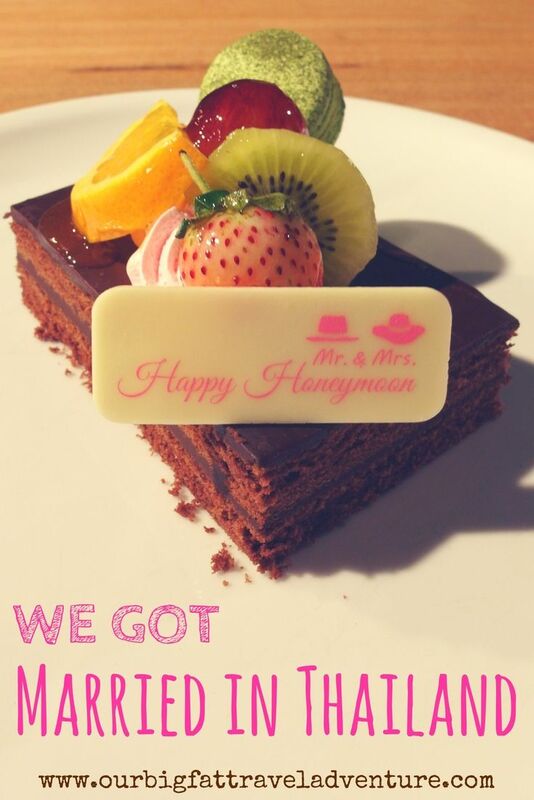 In fact, marriage has never been part of our life plan, so why did we decide to tie the knot here in Thailand? Well, it all comes back to travel. We moved to Chiang Mai last year with a brand new focus. 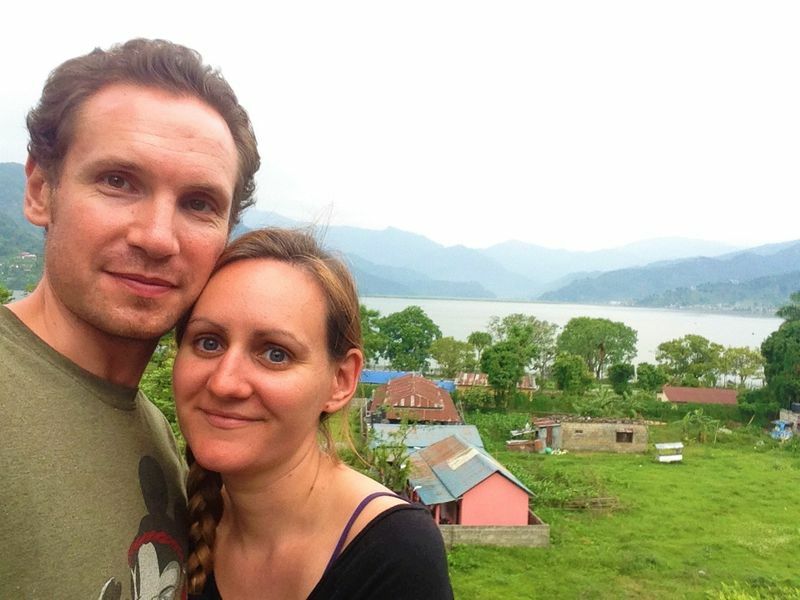 After years of backpacking off our savings and teaching English abroad, we knew it was time to make our lifestyle more sustainable. Working remotely felt like a natural evolution in our journey and so far, we’re pulling in a solid income through freelance writing and online teaching. In fact, for the first time since our teaching days in Vietnam, we managed to put money back into our savings account this month. Freelancing suits me. Back in London I had a similar job in online writing, yet I loathed being trapped in an office for 40 hours a week with only 20 days holiday a year. I dreaded the early-morning commute and found it hard to concentrate in a noisy, open-plan office. So, working from home is perfect for me. On the other hand, although Andrew’s online teaching fits well with our 2017 travel plans, he’d like to balance this with periods of classroom teaching in different parts of the world. 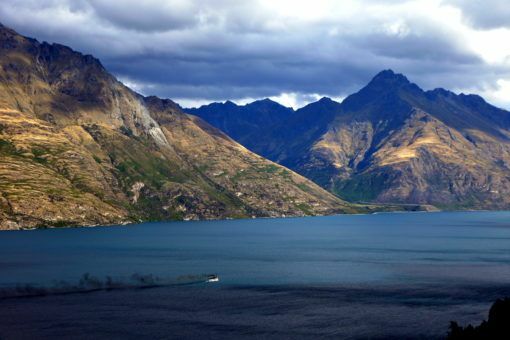 As a qualified UK teacher, Andrew can get a work visa in numerous countries. As a freelancer, I can’t. There are several countries we’d love to live in for an academic year, but one of those in particular has very strict visa rules. While Andrew has a good chance of landing a job and a visa, at best I’d only be permitted to stay in the country for three out of every six months. So, what’s the easiest way around this stumbling block? You guessed it, getting married. Andrew and I have been together for almost 12 years now and we’ve spent the last four of those travelling the world almost solely in each other’s company. As any travelling couple will tell you, being together 24/7 and dealing with all the intense highs, lows and challenges of this lifestyle will put your relationship to the test. In our case, there’s never been any doubt that we’re in this for the long haul and travel has only strengthened our relationship. We’ve never felt like we needed a wedding to cement our commitment to each other. In fact, if society didn’t require us to legalise our relationship in order to live together abroad, I wouldn’t be writing this post. However, there are a few other factors that contributed to our decision to get married. Since we spend most of our time away from the UK, it’s sensible for us to be each other’s formal Next of Kin. Secondly, we would like to one day return to the UK where, somewhat unfairly, you get certain tax and legal advantages if you’re married. I know that marriage has deeper meanings for different people and I’m happy for anyone who chooses to celebrate their relationship with a wedding. However, since marriage was more of a necessary process rather than a big rite of passage for us, we wanted to get it done as quickly and easily as possible. That’s why we decided to get married in Thailand. Since we currently live in Thailand, it made perfect sense for us to get married here. As a note, the UK recognises all marriages registered abroad so long as you follow local legal procedures. Fortunately, the process of registering a marriage in Thailand for foreigners very simple and affordable. I’m planning a separate post about exactly how to get married in Thailand and how much it costs, but here’s a quick look at what we had to do. First, we went to the British Embassy in Bangkok to get Certificates of Freedom to Marry. 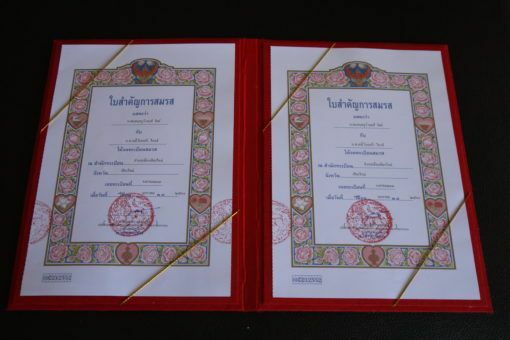 Then we hired a solicitor here in Chiang Mai to translate the certificates into Thai and get them notarised at the Ministry of Foreign Affairs. 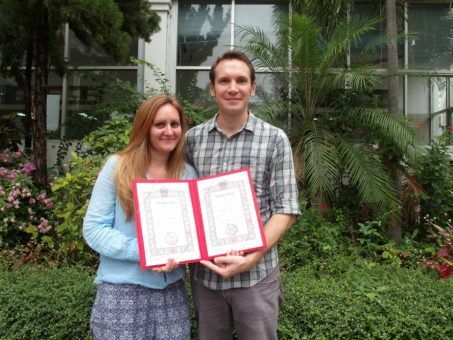 Finally, last week we went to the district office to sign the legal papers and receive our marriage certificates, which the solicitor translated back into English and notarised. Most people also choose to have a ceremonial wedding in Thailand once they’ve gone through this process and there are plenty of amazing packages available if you want a traditional Thai wedding. So, how much does it cost to get married in Thailand? When you factor in the solicitor’s fee and flights down to Bangkok for our embassy visit, we spent less than £400 on our marriage in Thailand. If we’d done everything ourselves instead of hiring a solicitor, we could have shaved over £100 off that price. On top of that, the whole thing took just a few days to plan and execute. When we compare that to the average UK wedding, which can take months to plan and cost around £27,000, we’re pretty pleased we decided to get married here in Thailand. Some of you might be wondering what our families thought about our decision to get married in Thailand. By now, they’ve grown used to the fact that we do things our own way, so I don’t think they were all that surprised. In fact, our parents were nice enough to give us some money so that we could mark the occasion in a way that suits us. 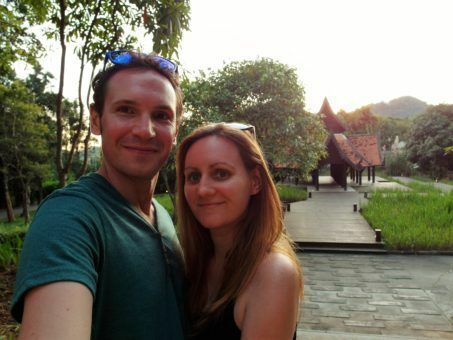 So, we chose to take a mini honeymoon up in the mountains of Chiang Mai. We spent two nights at the Veranda, a luxurious resort totally unlike the places we normally stay. 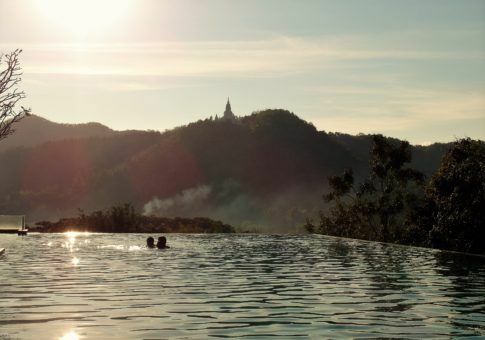 The infinity pool had killer views of the mountains, one of which was topped by an ornate white temple. We had massages and spa treatments, ate dinner under the stars and took two whole days away from our laptops. The hotel even made us a special chocolate brownie honeymoon cake. It was the perfect way to celebrate our life together and all the exciting adventures that lie ahead. Did you get married abroad, or would you like to? 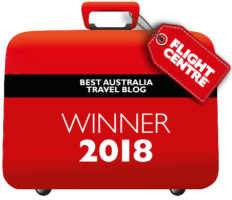 Congratulations Amy and Andrew – well done you! Another step in securing your life’s path. Congratulations!! Fantastic news and I kind of suspected from what you said on your last post?. I got married in London first (Westminster Register Office) and one year later we got married again in a religious ceremony in Brazil with all my family, Brian and I have been married for 29 years. I wish you and Andrew all the happiness, good health and a very long life of many exciting adventures together. I am delighted for you? I thought you were already married, lol. Congratulations! I am a casual reader of your blog, but I always enjoy it when I do. Really enjoy your travel posts and advice. Congratulations on your exciting news! Thanks so much for reading and commenting Dayna and for the congrats! Well I’ll say congratulations, even though the normal reasons weren’t your motivation. I’m sure the years ahead will bring more adventure! Thanks Rhonda, we’re hoping the marriage will help with those future adventures! This was so refreshing to read! We had a very traditional wedding in the UK and wouldn’t change it for the world, but I do sometimes think about all that money and how much travelling we could have done! I’m glad you did things in the way that was right for you as a couple, and I’m very jealous of that stunning view at your resort!! Just wanted to let you know that I came across your blog while looking for a one month rental in Chiang Mai and your posts were super helpful! We arrived yesterday and can’t wait to spend more time in this city! OMG! Many congratulations you guys. I never saw that coming, but you deserve every happiness that a lifetime together already brings! 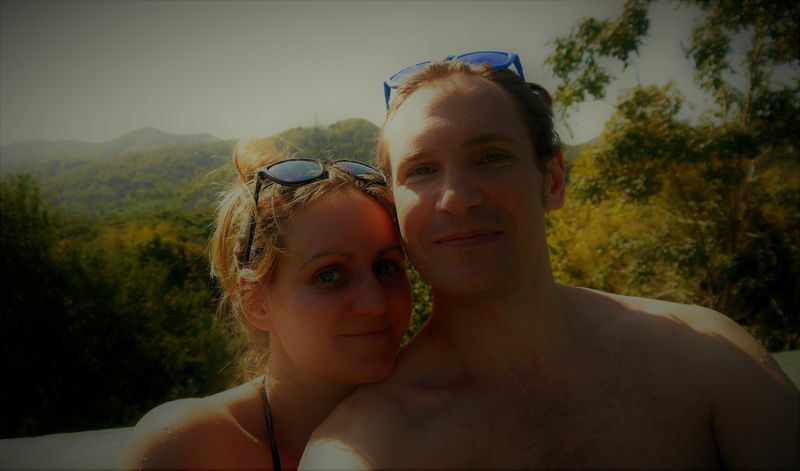 And getting married in Thailand, is such a sweet thing, and the icing on the cake on your 12 year (nice one!) relationship, so to speak. Yep! I’m with you there. Getting married abroad is so much nicer. And cheaper. Than getting married in the UK. My husband is German and would have married me anywhere. However, I wanted to get married in a castle. I wasn’t really interested in having a church wedding, but I wanted to be surrounded by old architecture and history. Which is exactly what I got! We got married in a castle in Brandenburg. We had an orchestra. All our German / British guests wore top hats and waistcoats, We had the building, plus courtyard, plus farm, plus lake, from 10:00 – 01:00 and it didn’t cost anywhere near £27,000 lol! A big hug kisses and a hearty congratulations. Lucky you wish i could have the chance as well! Good lucky one day might cross paths. Very happy for you guys that you are closer to your long term goals. It does seem the most sensible next step for you and you saved a whole lot of money doing it this way. Love the fact you have a goal and you are working towards it. 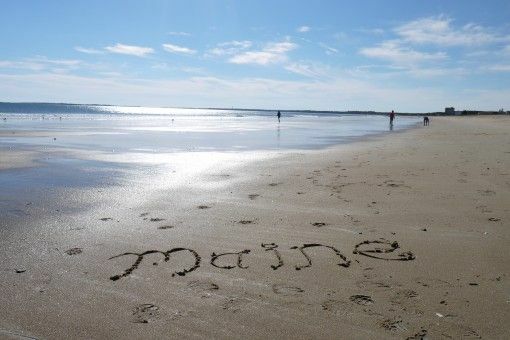 Hopefully we can come visit you in Maine or New Zealand ? Your honeymoon weekend sounds and looks AMAZING! Very jealous of the chocolate brownie. Thanks for sharing this personal topic. I feel exactly the same way as you do about marriage but I’m yet to meet anyone who ‘gets’ me. Anyway I’m planning to marry my bf of 4 years for exactly the same reasons too. We currently live in Taiwan which most countries don’t recognise as an independent country so we’re looking elsewhere. Thailand came up as having a quick process, legal, cheap, beautiful, and most importantly…great food! I’m so pleased it worked out for you, and thanks again for the encouragement to go for it!